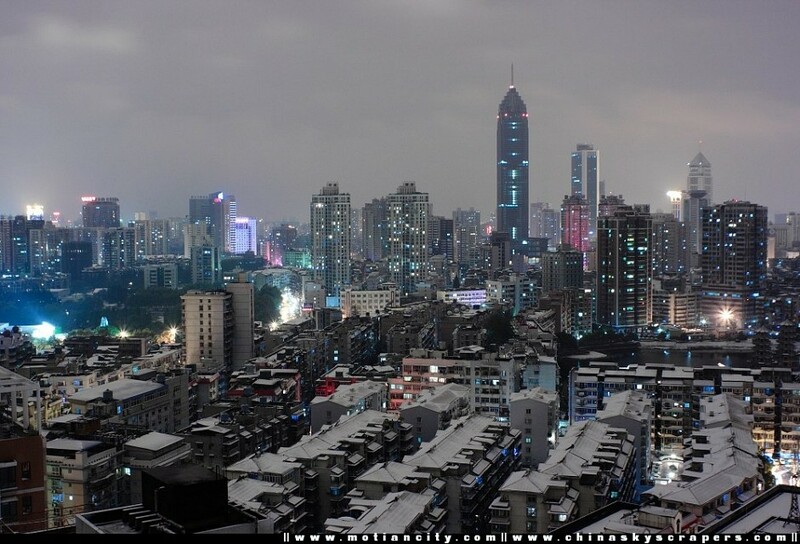 Wuhan is located in central China, very far from the coast, and is the capital city of Hubei province. 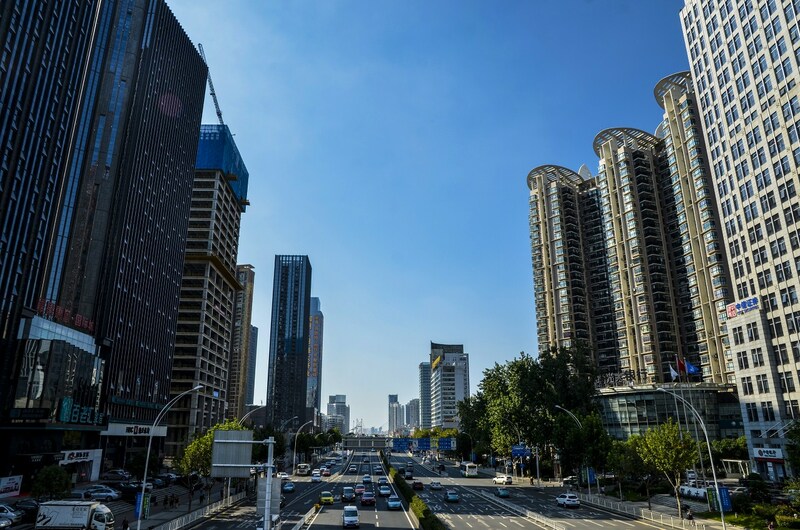 With a population of over 10 million people, Wuhan is actually a conglomeration of three cities, Wuchang, Hankou, and Hanyang, and as the most populous city in central China, it is a major through fare for domestic and international transport, as well as have a big trading port. The city experiences all four seasons, with temperatures of around 91 °F in the summer and dropping to about 32 °F in the winter. The winters can be very cold and dry, and the summers are very humid, making spring or autumn the ideal time to visit. 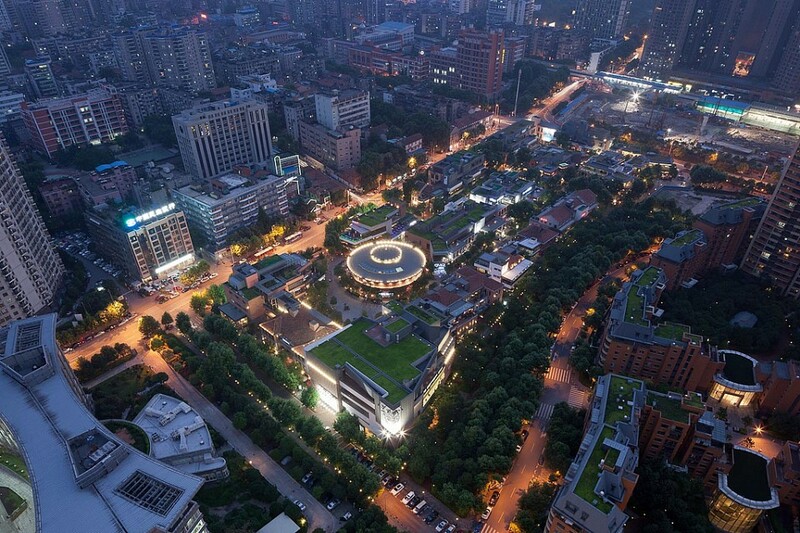 Wuhan is one of the oldest civilizations in China, dating back to before Beijing, Xi’an, and Nanjing. 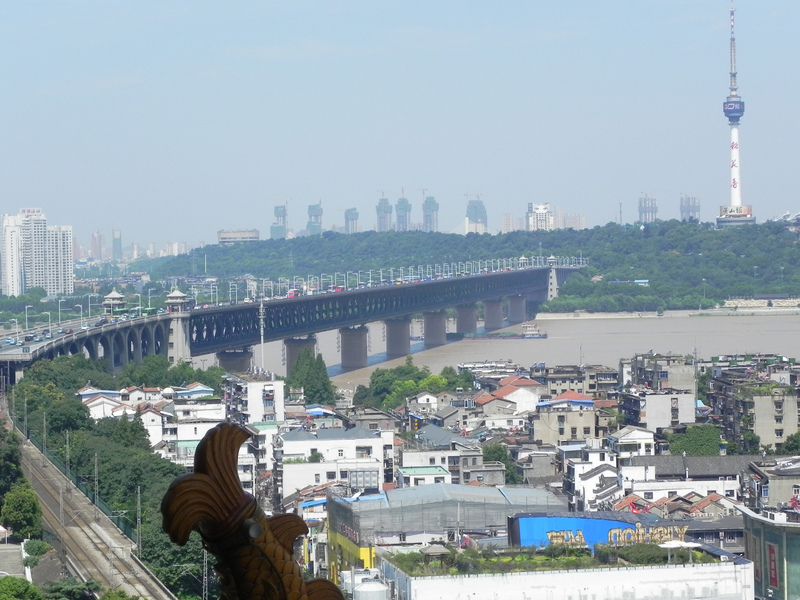 Hanyang port, near present-day Wuhan, grew significantly during the Han dynasty and walls were built to protect both Hanyang and Wuchang, marking the creation of present-day Wuhan. With over 3,500 years of history, the city has long been a center for arts and creativity. As early as the 18th century, Wuchang was recognized as an important trading city, and was awarded provincial capital under the Mongol rulers. In the 1st century, railroads were built through the city, making Wuhan an important crossroads between rail and river traffic. In 1911, there was an uprising in Wuchang resulting in the Qing dynasty being overthrown that originated in Wuhan. Several protests across Sichuan led a rebellion that eventually spread across the country. The Qing government sent many military forces across the country to suppress the uprising. In other parts of the country, Qing forces seized Hankou and Hanyang, but in Wuhan there were peace talks that eventually led to the founding of the Republic of China . Wuchang is home to the largest lake within a city in China, with the lake, known as East Lake, covering 21 miles², situated in a park that also contain a lake known as West Lake. The entire complex covers more than 50 miles², with several notable sites surrounding the lake including Liyuan Park, Hubei Provincial Museum, Wuhan Botanical Garden, and the Japanese Cherry Blossom garden. Hubei Provincial Museum was established in 1953 and is highly regarded throughout China, with a significant amount of historic and cultural relics. The collection contains over 200,000 objects, with several forbidden by the state to be exhibited abroad because of their importance to Chinese history. These include the Sword of Goujian as well as an ancient set of bronze bells. The museum is located close to the west shore of the East Lake. 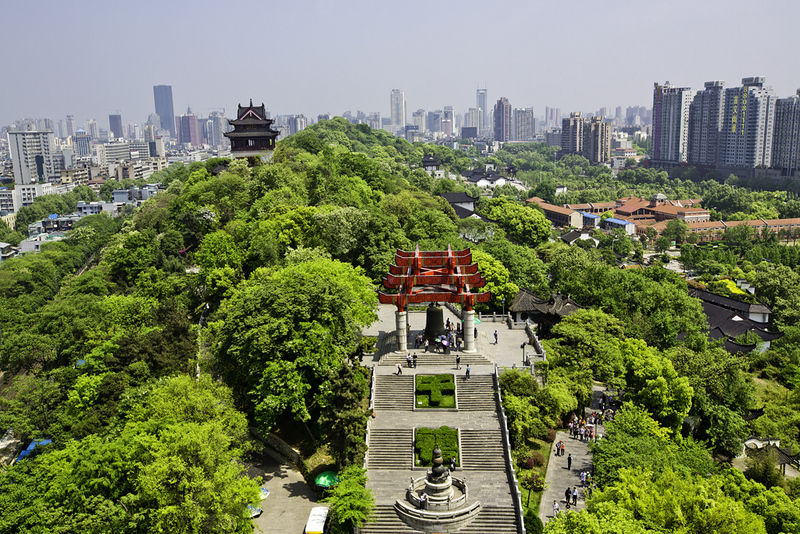 The Wuhan Botanical Garden plays a role in improving the surrounding environment, and has a regular program that aims to create awareness about the environment generally, and more specifically about plant life and biodiversity. With more than 400 species of flora, the garden is a research-geared botanical garden, though it has been open to the public since 1958. The botanical garden is located on a peninsula on the East Lake. The Japanese Cherry Blossom garden, located on the shores of the East Lake, is reportedly the best place to see cherry blossoms in China, although it may seem strange to visit Japanese flowers while in China. The entire garden is designed with Japanese influence in mind, and there are more than 5,000 cherry blossoms coming from 30 different breeds. There is also a Cherry Blossom festival that lasts for 25 days, during the month of March each year. The festival includes light that illuminate the garden at night, as well as photo-exhibitions of other Cherry Blossom gardens around the world. 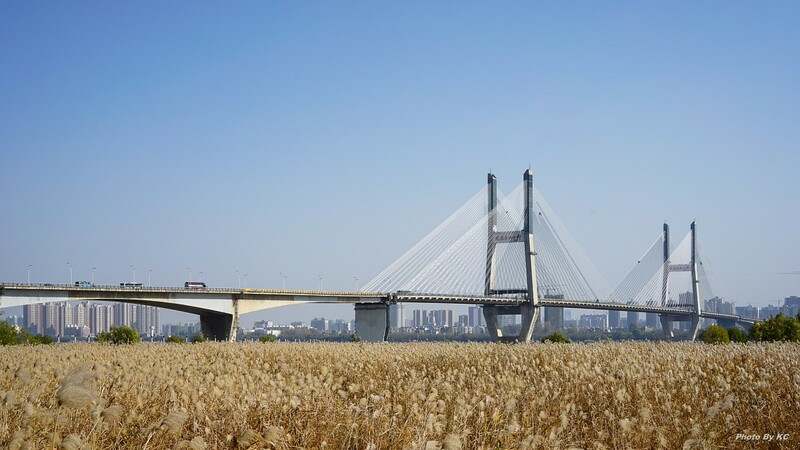 Wuhan sits at the top of the Yangtze River, and features the Wuhan Yangtze River Bridge; a double-decker road and rail bridge completed in 1957. The bridge stands at a length of 5,479 feet, and forms part of the Beijing-Guangzhou railway. You can take a boat trip under the bridge, and though its size is impressive, it is not a particularly beautiful bridge. You can also walk across the bridge, crossing the Yangtze which gives you great views of Wuhan provided the weather cooperates! The Yellow Crane Tower was built in 223 AD, though the current structure was completely rebuilt in 1981, moved a kilometer away, and bears no resemblance to the original structure. The tower stands on Snake Hill, also known as “Sheshan”, on the bank on the Yangtze River. Legend has is that the tower was built after an immortal known as “Wang Zi’an” who off on a yellow crane from the site of the tower, and the monument was built in commemoration. A slightly different tale says that an immortal known as “Fei Wenyi” would ride a yellow crane and often stopped on Snake Hill to take a rest. The tower is one of the main tourist sites in Wuhan and has been named one of the Four Great Towers of China , four towers that are famous in Chinese history. As well as the tower being visually very interesting, with intricate detail and a unique construction style, the view from the top of the tower is also magnificent, offering a view of Wuhan and the Yangtze River. There is an elevator in the tower making it very accessible for all. If you’re looking for something a little less cultural, Happy Valley Wuhan is a recently-opened theme park, and the fifth branch of the Happy Valley theme park chain. There is a wide collection of rides, with something for all ages, in addition to Playamaya water-park next door, which is great for summers in Wuhan. As with all big amusement parks, lines can be long, so going in the off season, when it is also not unbearably hot is a good idea. 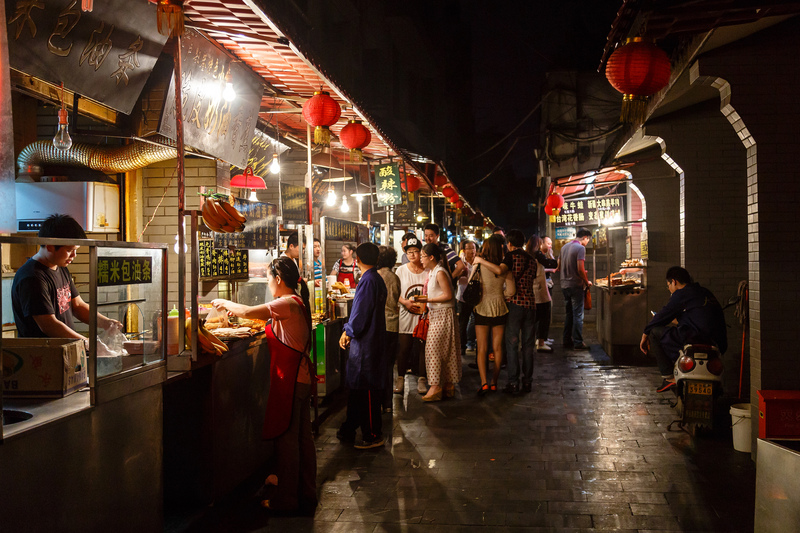 Hubu Alley, nicknamed “the street of infinite snacks”, is a must-visit for anyone with a love of food. A street filled with vendors selling all kinds of snacks, from banana crepes, to fried tofu skin and steamed pork dumplings, you can find something for all palates. It’s best to go on a Saturday or Sunday when there are more vendors, and go from place to place trying a little bit of everything. Additionally, the food is all really cheap – make sure you bargain - and as long as you eat at popular vendors, the food should be very fresh and made on the spot. Wuhan is famous nationally for being the birthplace of Han opera, with several theaters operating daily shows. During the late Qing dynasty, Han opera blended with Hui opera created Peking opera, today the most famous opera in China. 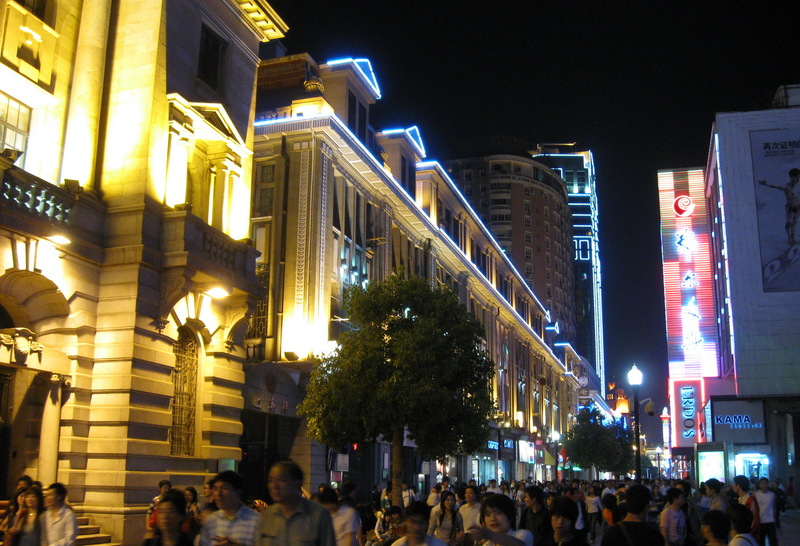 Large-scale shopping malls are prevalent throughout Wuhan, selling home appliances, food, books, as well as various styles of clothes. The quality is usually pretty good, and reasonably priced, about what you would expect in Europe. 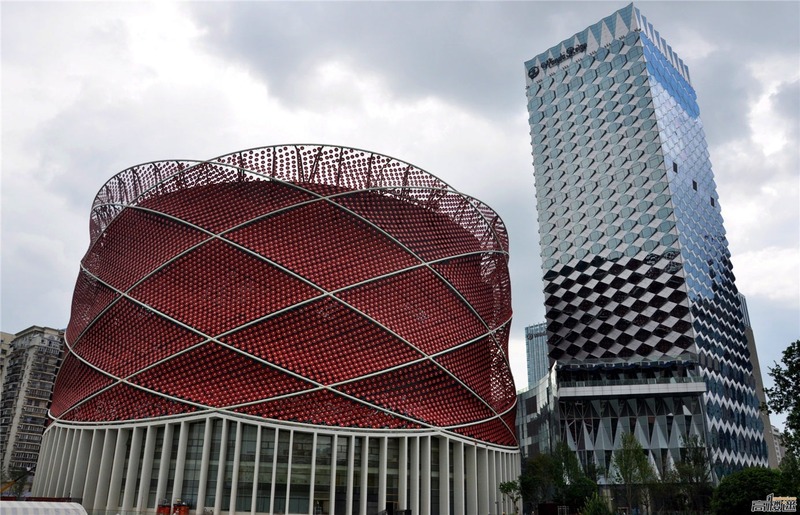 The New World Department Store is by far one of the largest malls, with two 60-storey buildings, spread over several blocks, the department stores offers a huge range of Chinese brands and a large selection of everything from wine to furniture. 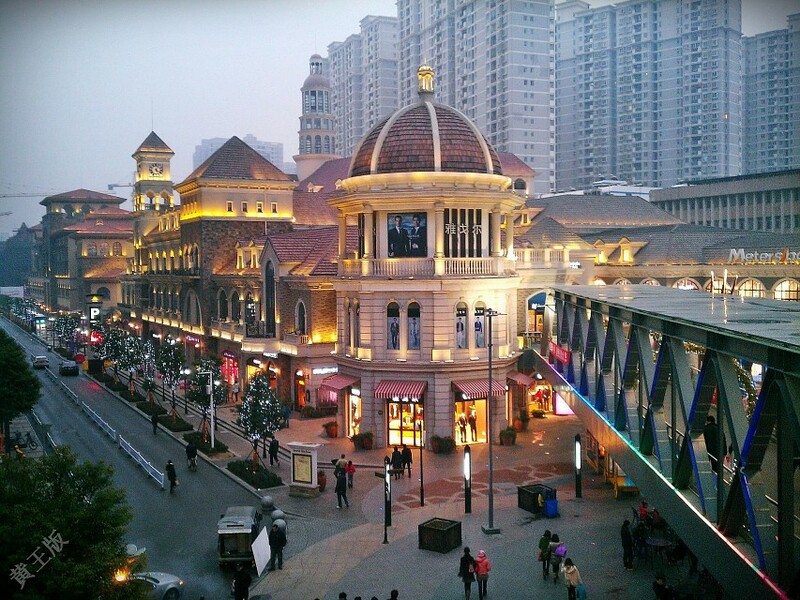 The Wuhan International Plaza Shopping Center is another large mall, but with more international and designer brands, and is therefore much more expensive. Like other malls, it is inappropriate to haggle here, so be prepared to spend some money. Brands are also usually more expensive, so unless you absolutely need something, it would be wise to get it back home. For a less authentic Chinese experience, head to Tian di Plaza, where there are boutique shops and cafés surrounding a central plaza. An enjoyable place to sit and relax, though very reminiscent of a Western city, with pre-historic trees and old colonial buildings. 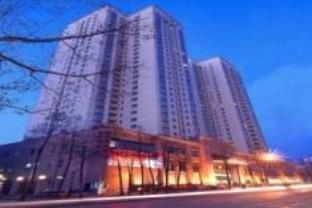 The options for budget lodging in Wuhan are limited with only a few hostels to choose from. Located in the ‘HangZang Zao’ Culture and Art zone, the Wuhan Bingo Hostel HYM offers private rooms from $ 10 USD a night. They have free Wi-Fi, laundry facilities, as well as a bar, restaurant and outdoor terrace. There are however an abundance of options if you are happy to spend significantly more money. The PuYu Hotel and Spa, has three restaurants, with a combination of Chinese and international cuisine, free breakfast and a swimming pool and spa. It has received excellent ratings, the staff are outstanding, and it has all the amenities of a top-class Western hotel. For $ 178 USD a night in October, you can get a Deluxe King Room. 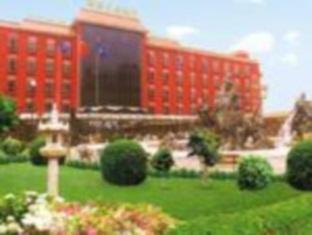 The Ramada Plaza Wuhan, is $ 77 USD a night, with many of the amenities of a 4-star hotel. There is a swimming pool, a restaurant and bar as well as high speed internet. Located in the Haikou District near to a number of attractions including the Temple of the Dragon King. 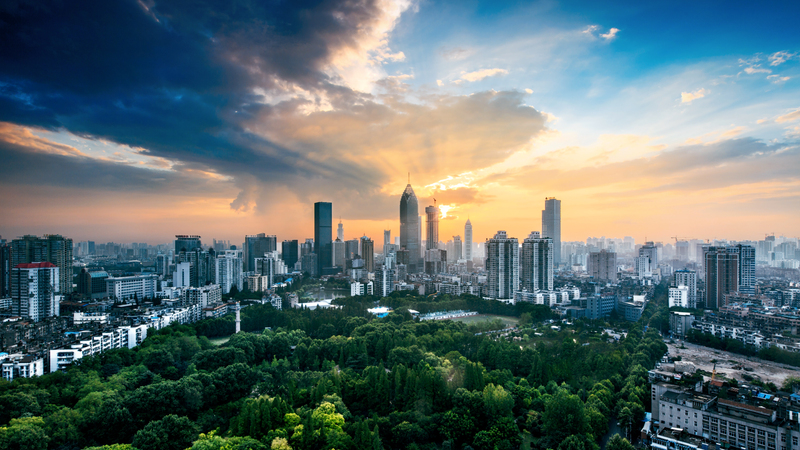 Although located pretty much in the middle of mainland China, Wuhan is surprisingly easy to get to, with international and national connections. The Tianhe International Airport takes twenty minutes to the center of the city, and departures are coordinated with the arrival of planes. The bus should cost you around 17 CNYfor Hankou, and 32 CNY for Wuchang; a taxi is considerably more at around 100 CNY. Wuhan is also easily accessible by train, with direct services to Beijing, Shanghai, Guangzhou, Xian and Chengdu, among others. There are currently three train stations, so ask the hostel before you depart which one makes the most sense and has the shortest time to your destination. 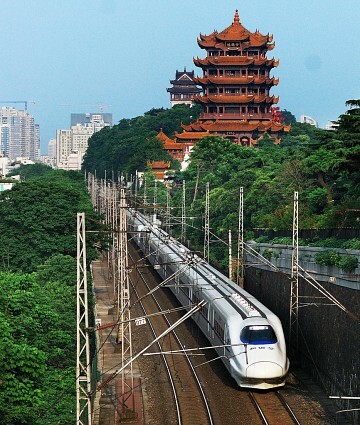 The new G trains mean that travel time between Wuhan and Guangzhou is now only four hours. Situated at the north of the Yangtze River, you can also arrive in Wuhan by ship, and ferry trips are available to a number of cities including Shanghai, Chongqing as well as too the Three Gorges, and other cities located on the Yangtze.